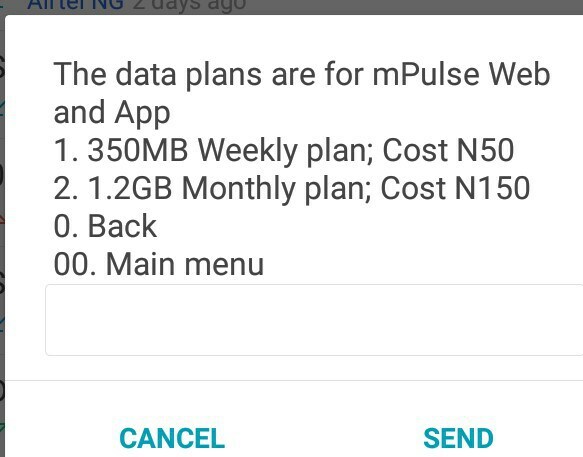 And follow instructions by clicking on option 1(buy data) then subscribe for 1.2gb for 150/month.. NOTE:-It only works Perfectly on mPulse Tariff Plan Only.. Dial *344*2*2# to check your Data Balance..
0 Response to "Awoof! Enjoy MTN 1.2GB for Just N150 Only"